Zildjian Planet Z Splash Cymbal, 10"
For drummers looking to make their first entrance to the Zildjian family, the Planet Z splash is the place to start the journey. Crafted in USA of a nickel-silver alloy, the Planet Z is a sonically superior cymbal in its price category and is truly worthy of bearing the Zildjian name. 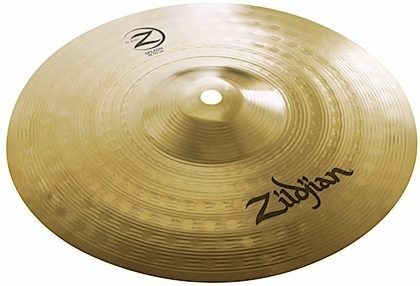 The splash cymbal emits a quick, focused tone with a quick decay.